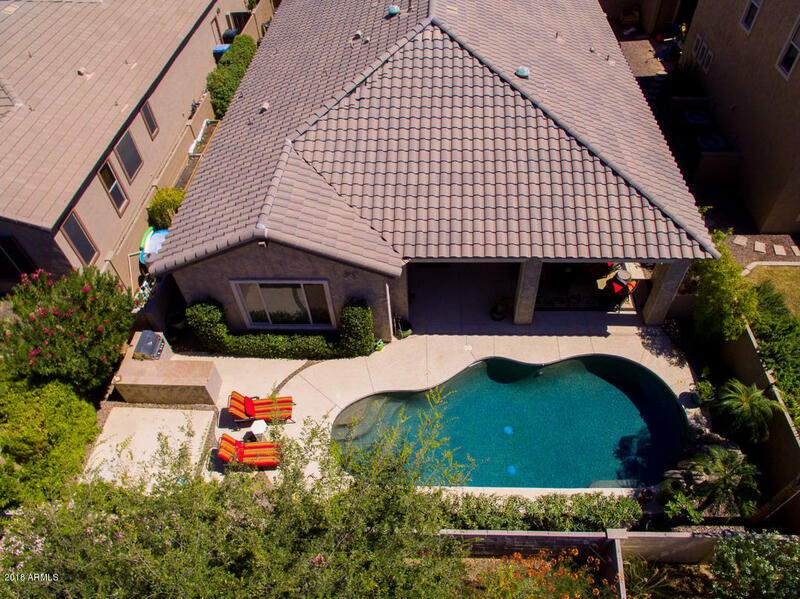 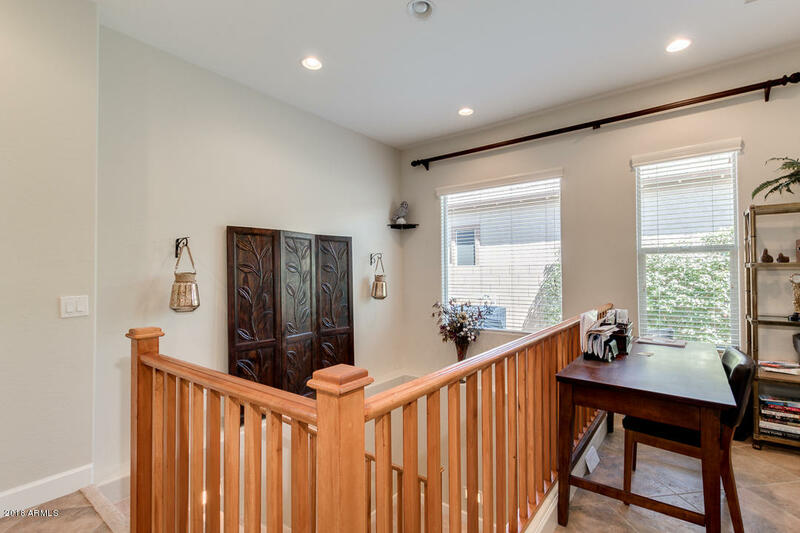 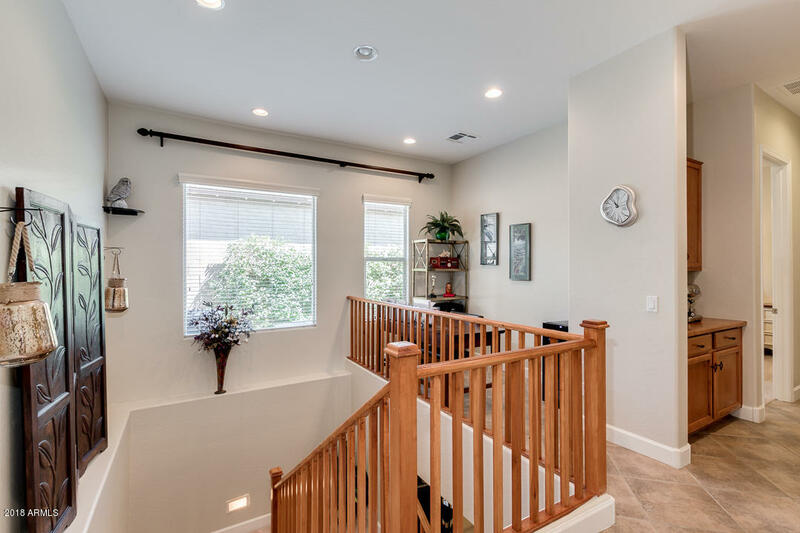 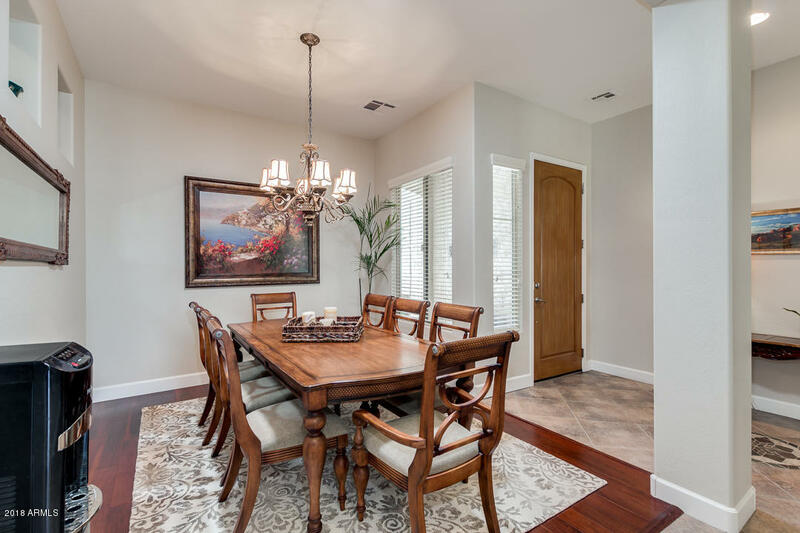 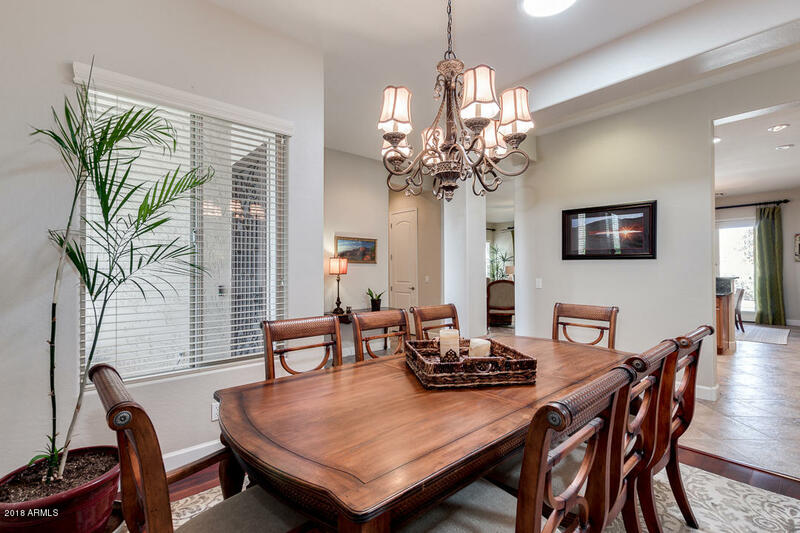 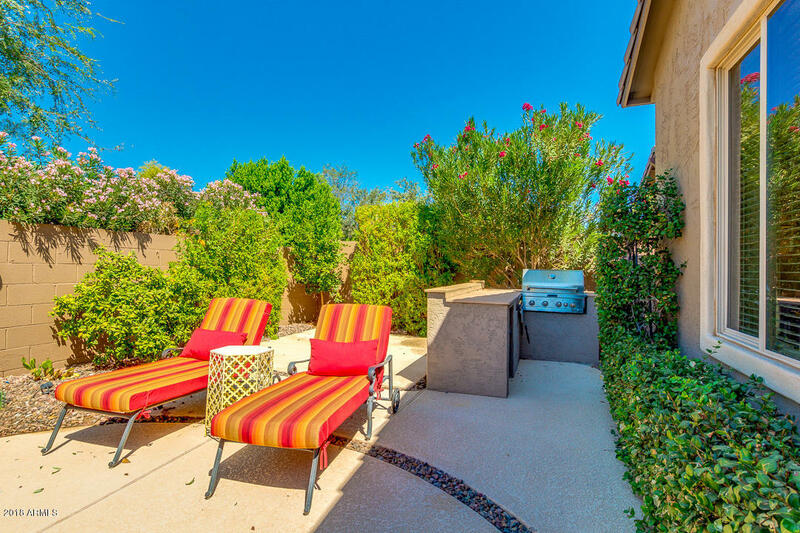 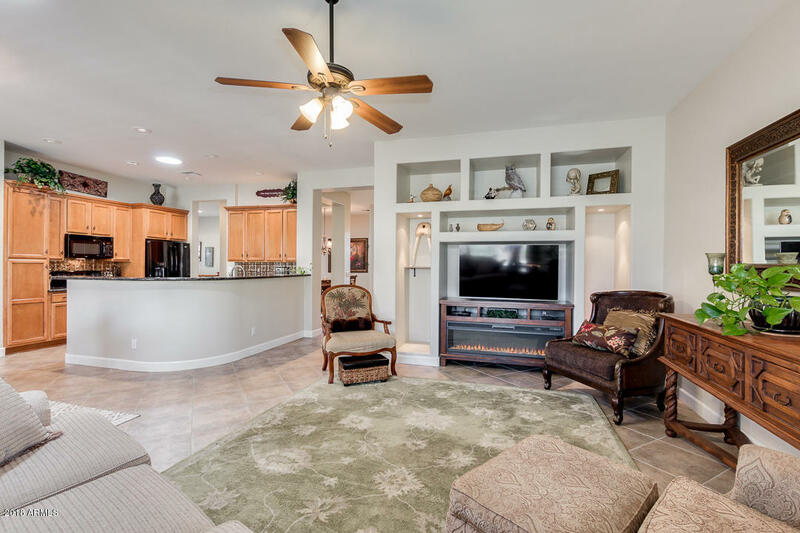 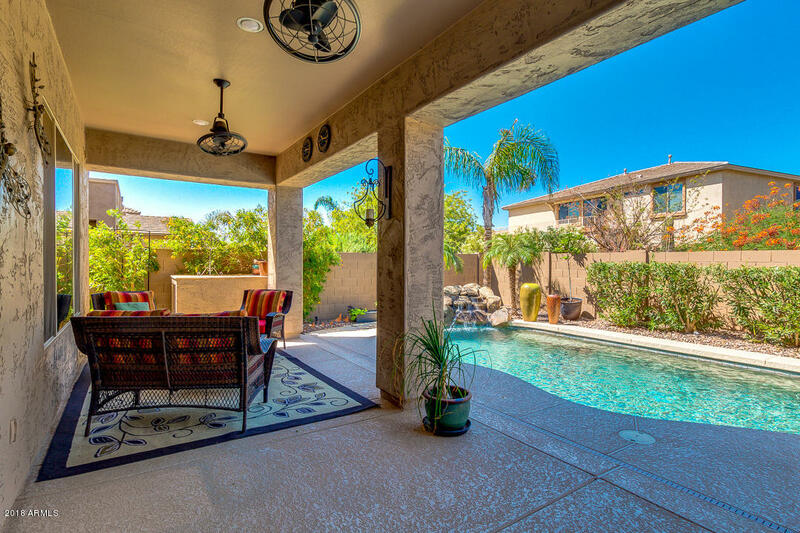 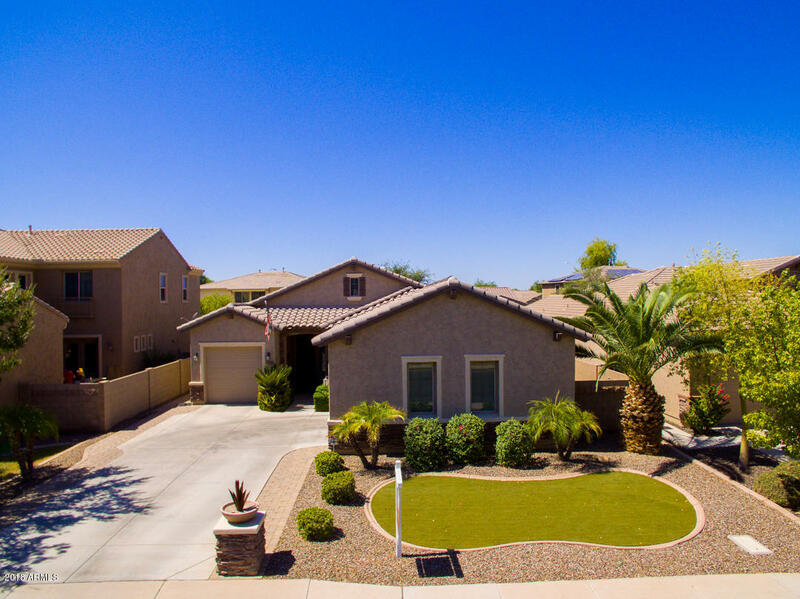 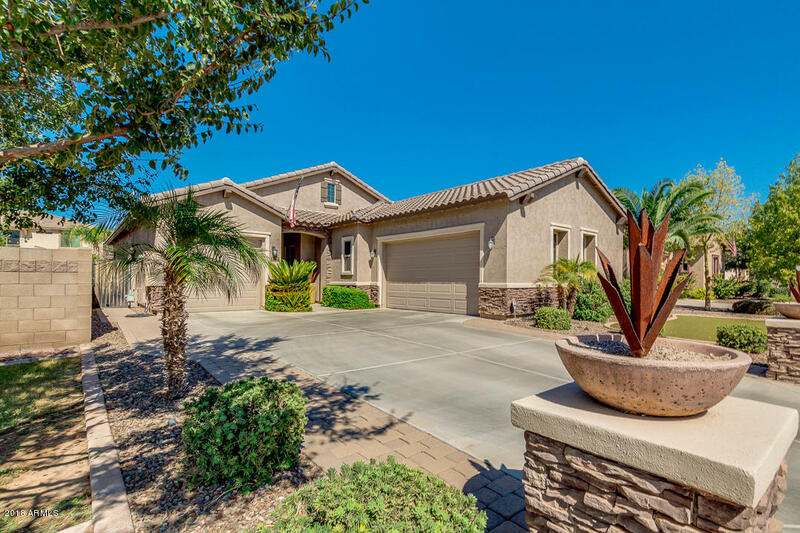 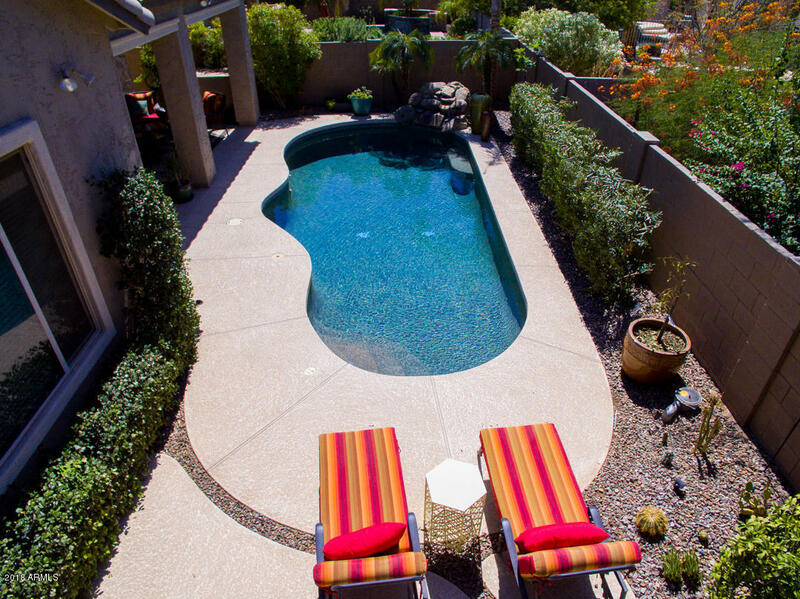 Chandler Basement Beauty in the desirable lake community of Sun Groves! 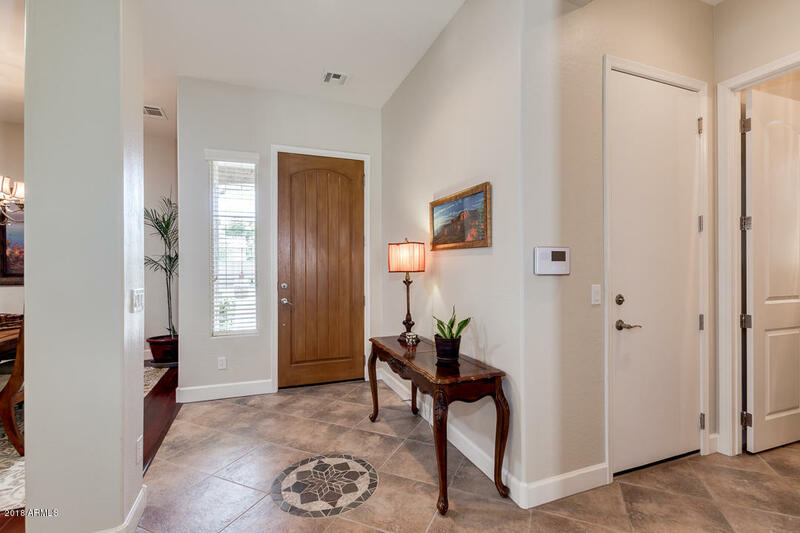 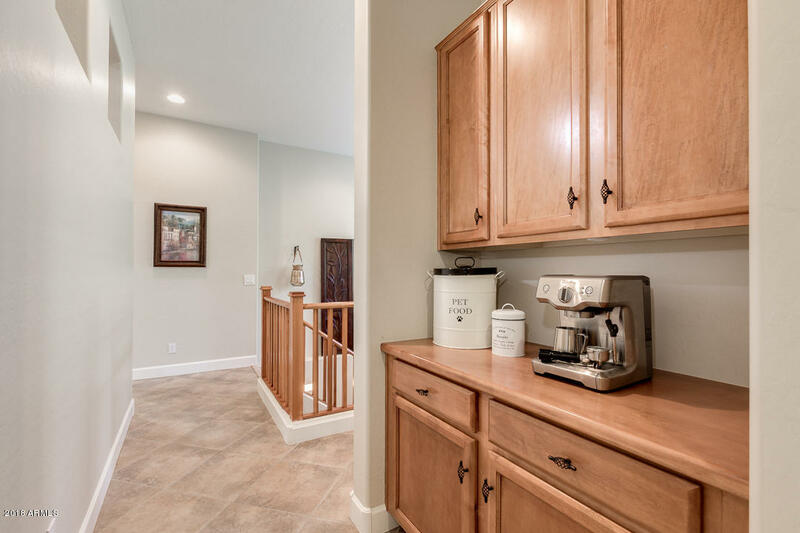 Elegant neutral tile, carpet, and paint throughout the home. 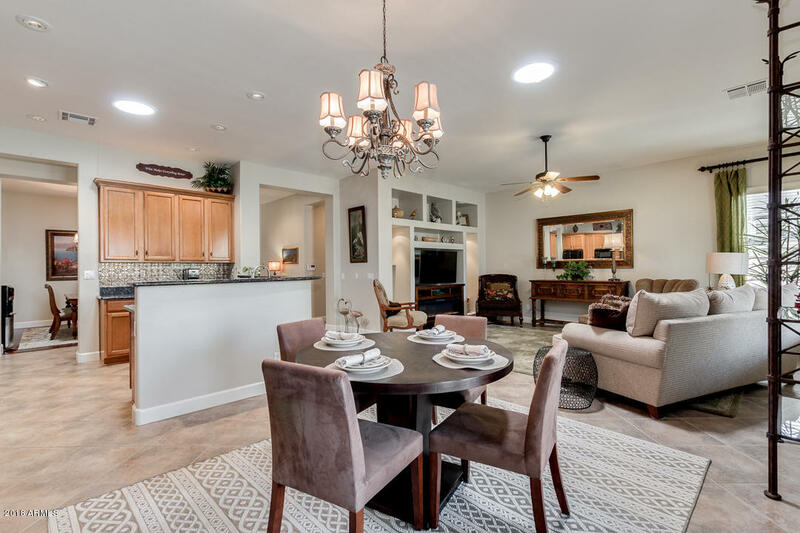 Open great room with eat-in kitchen area. 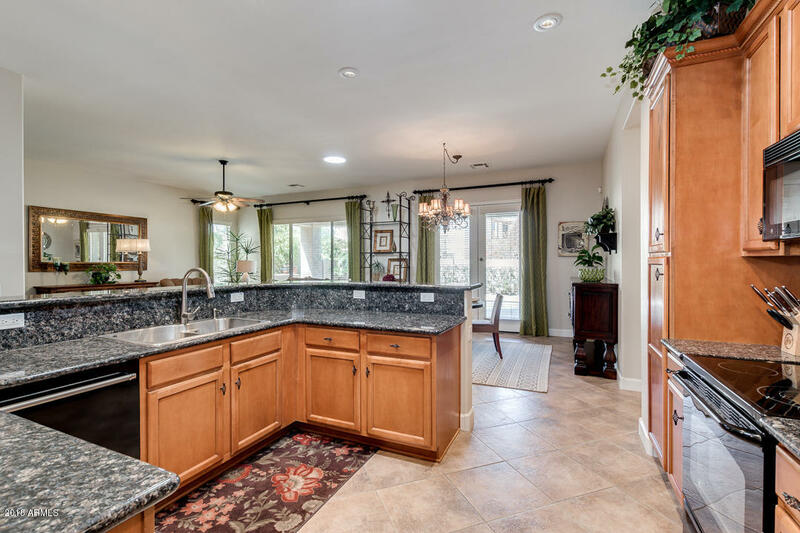 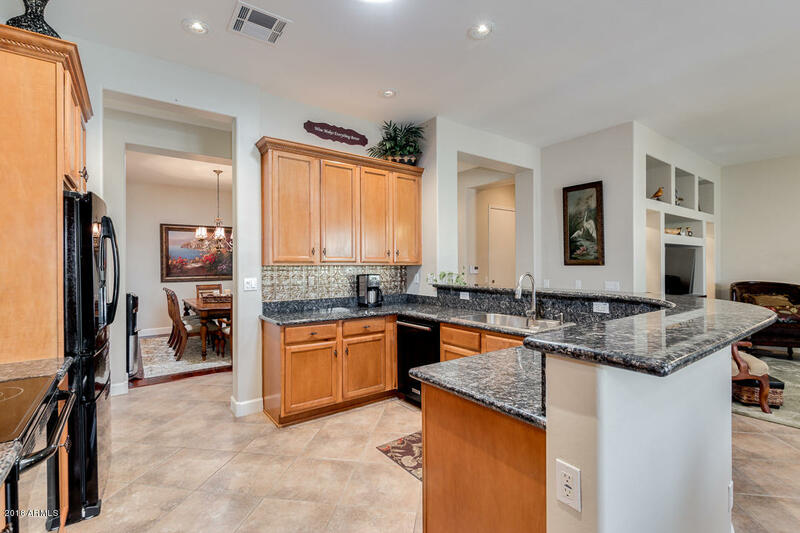 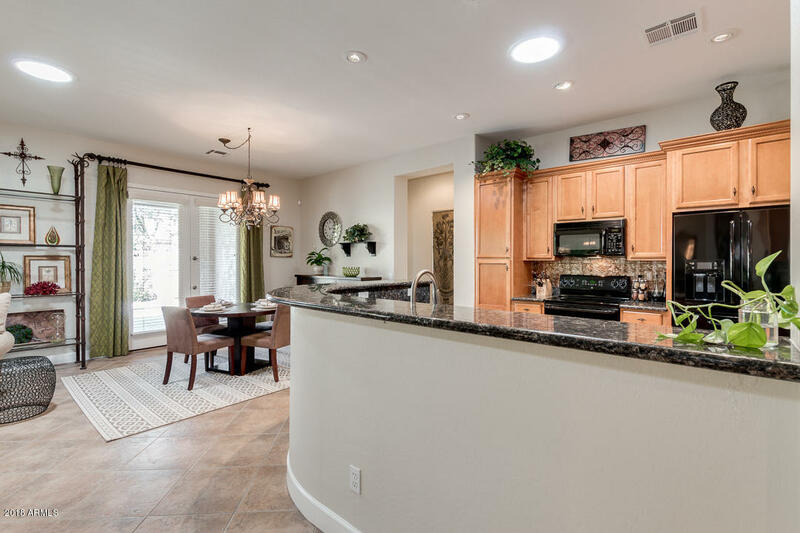 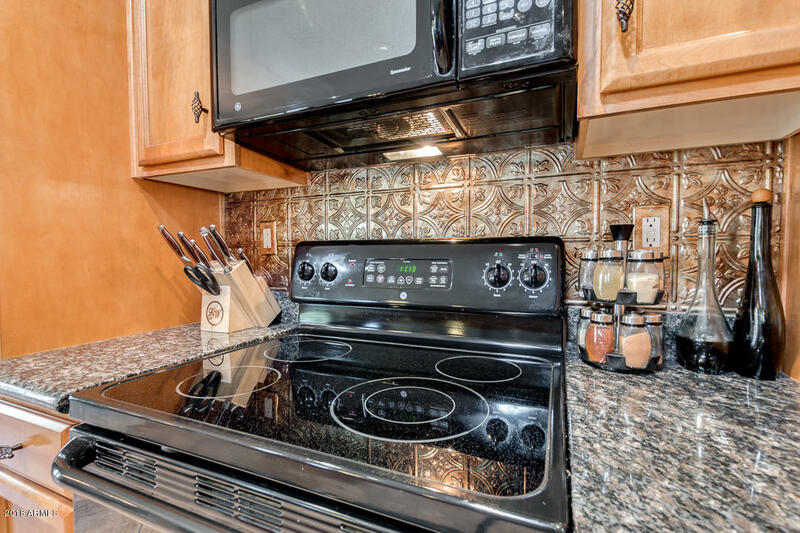 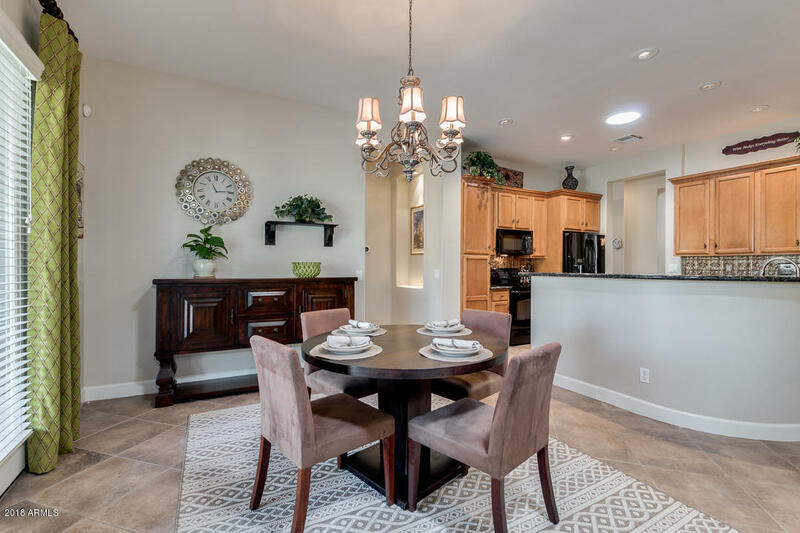 Kitchen features a large granite breakfast bar, pull-out drawers in every cabinet, and gorgeous granite kitchen counter tops. 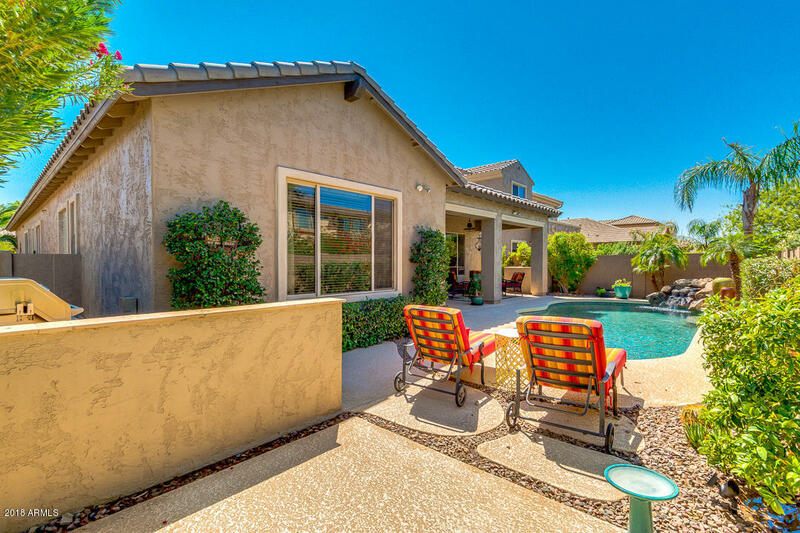 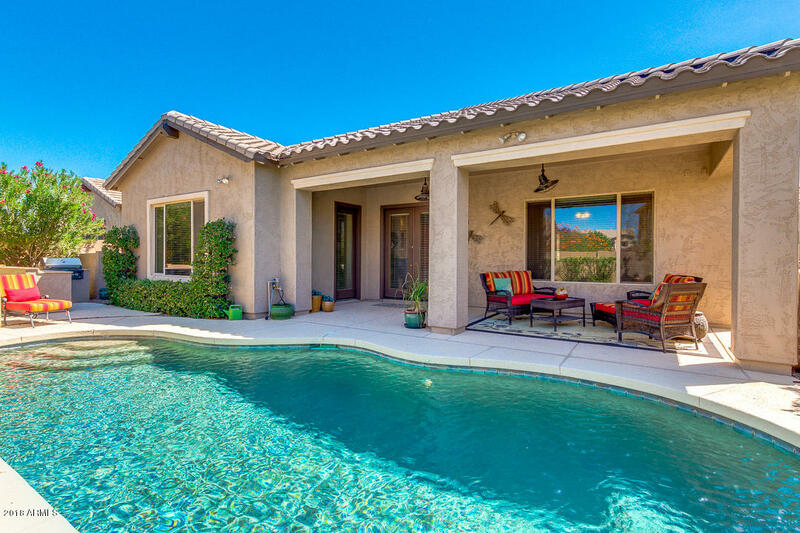 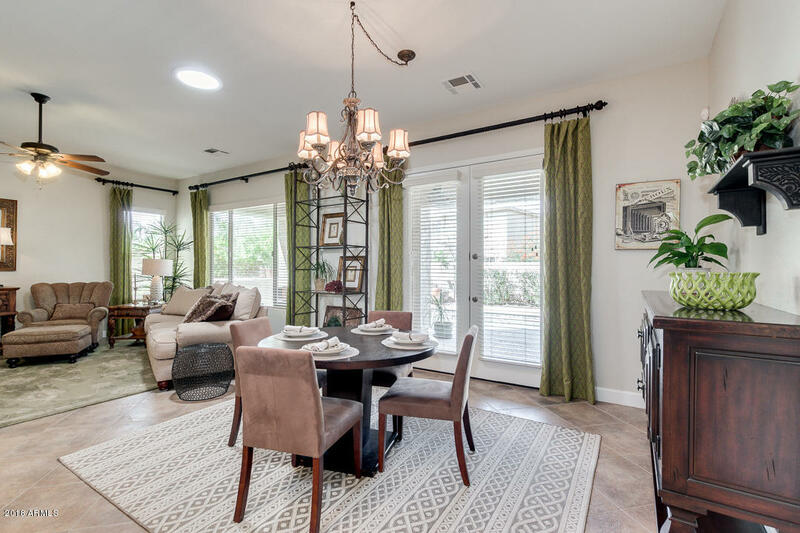 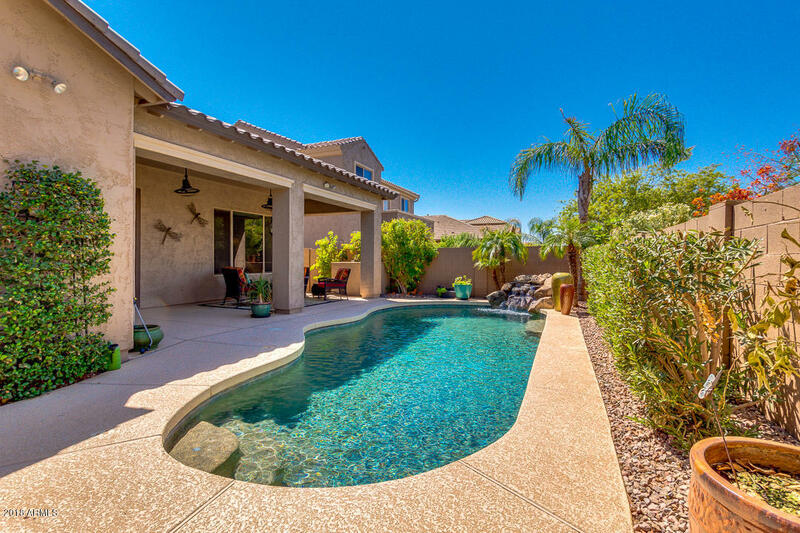 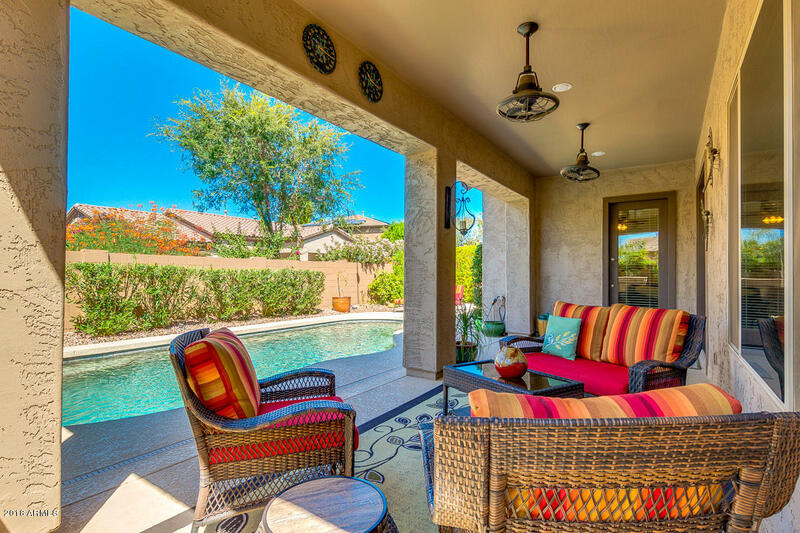 French doors lead to covered patio, sparkling pool, & built-in BBQ. 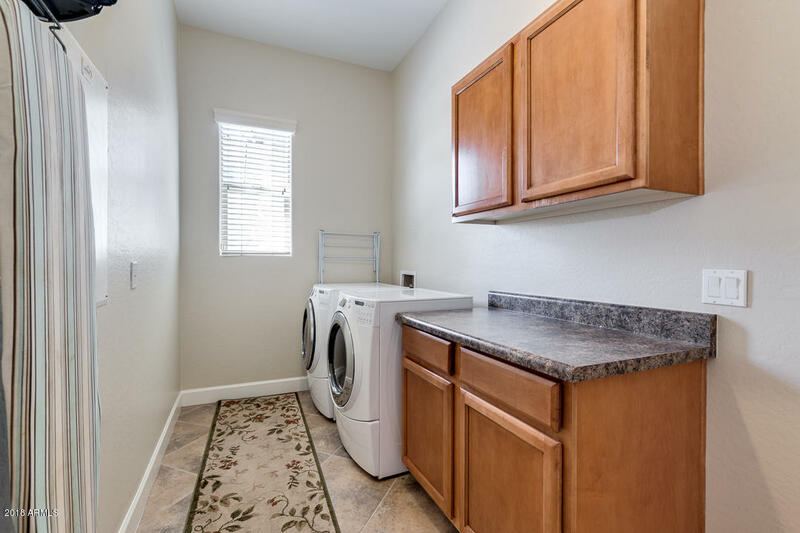 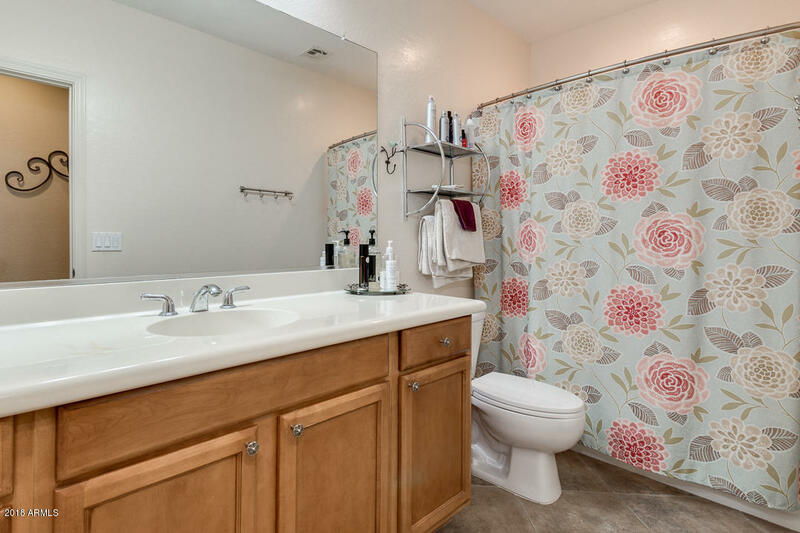 Spacious four bedrooms; One full bedroom & full & 1/2 bath on main floor. 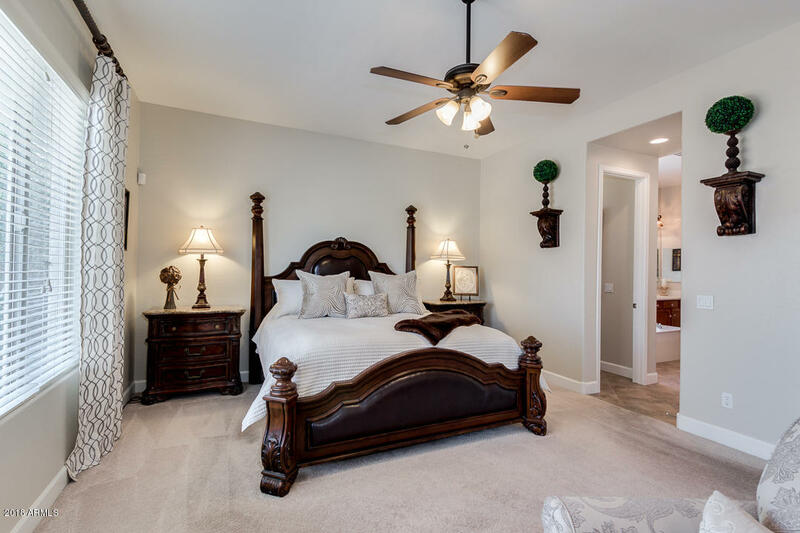 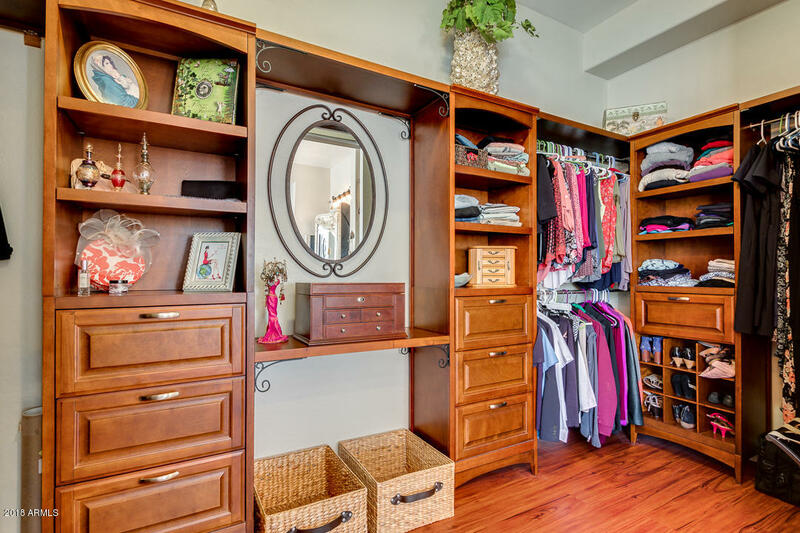 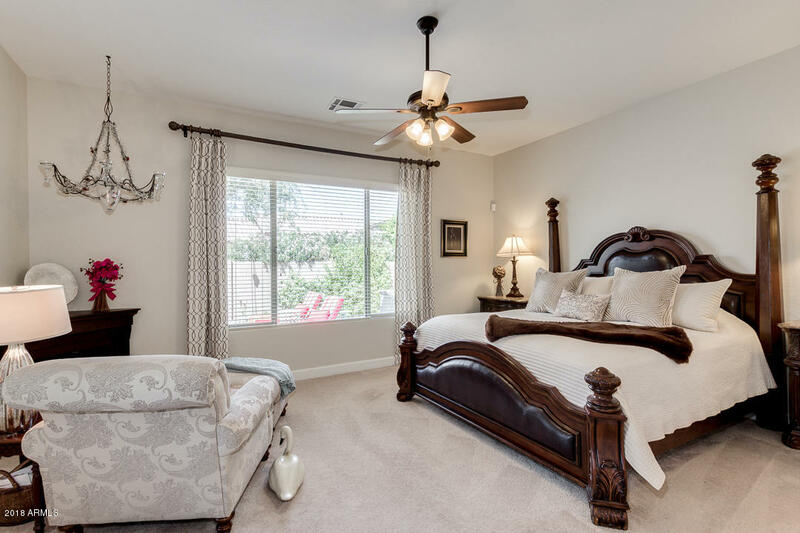 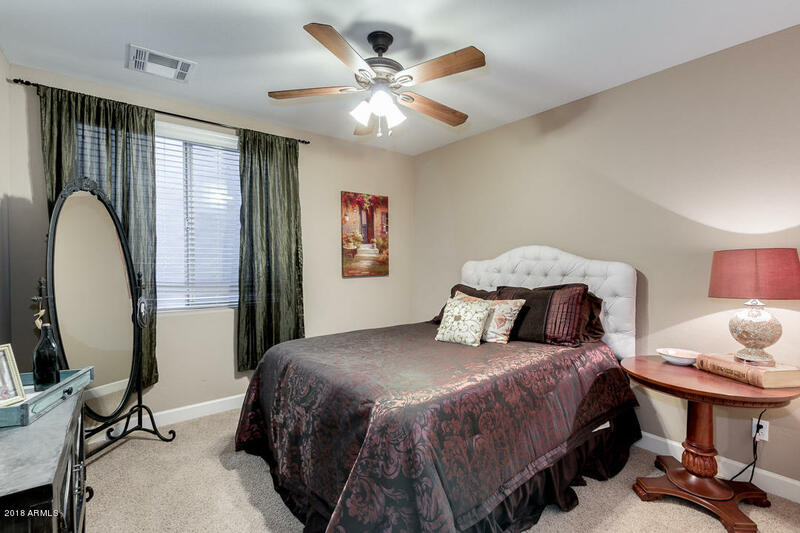 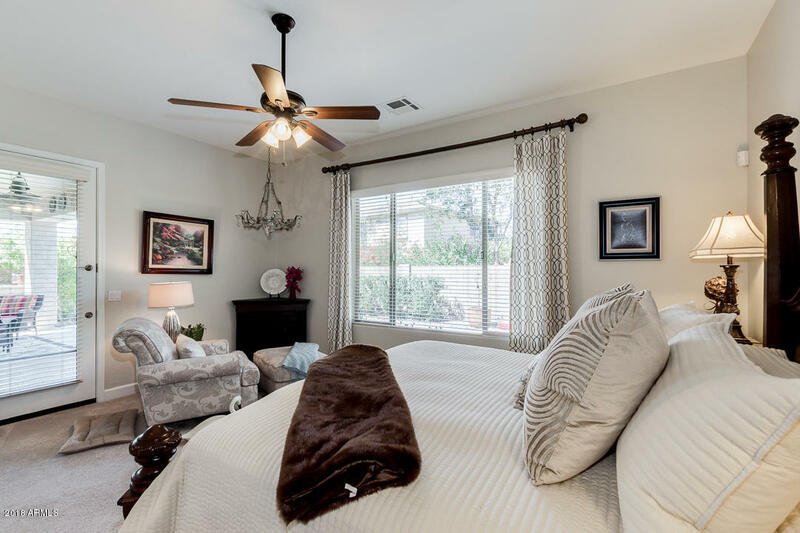 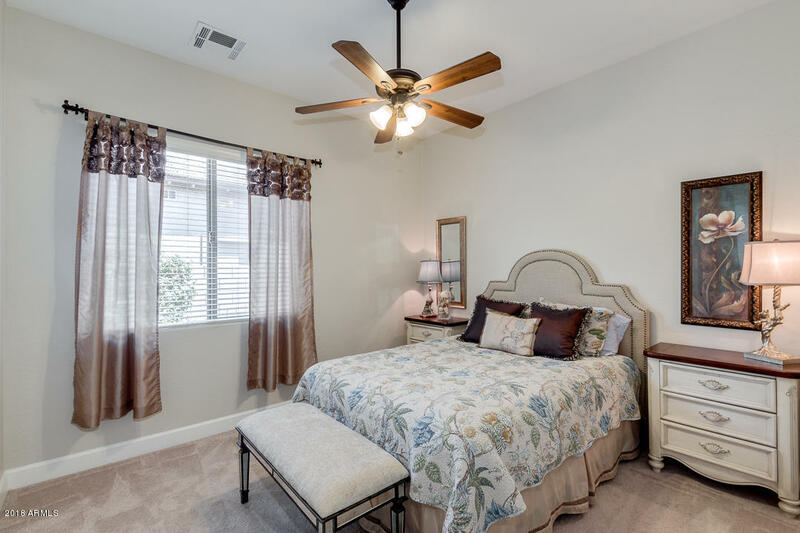 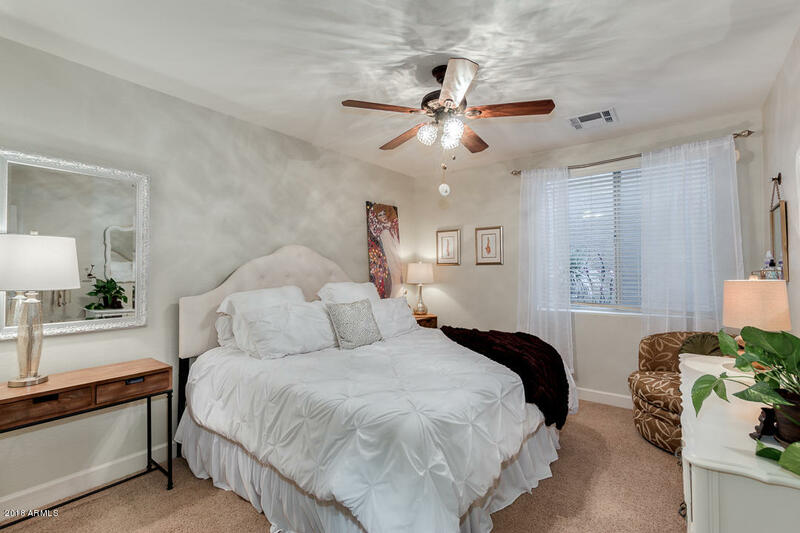 Sizable Master Bedroom on main floor with sitting room and door to covered patio. 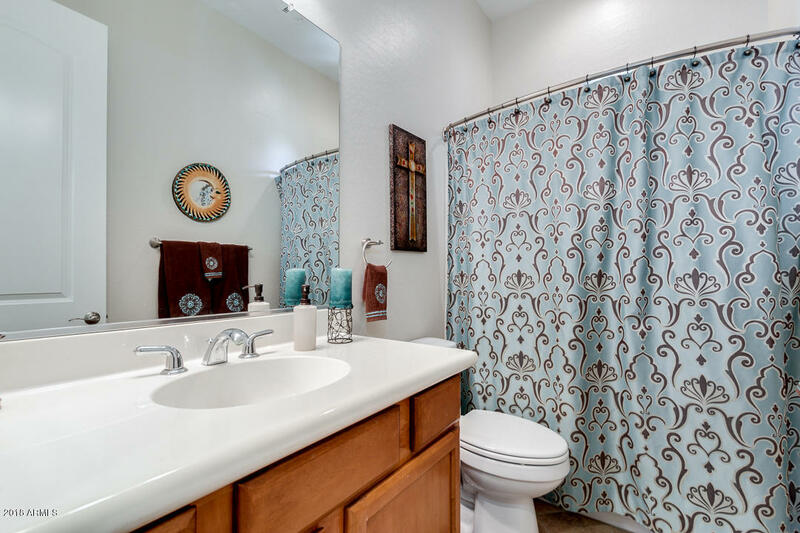 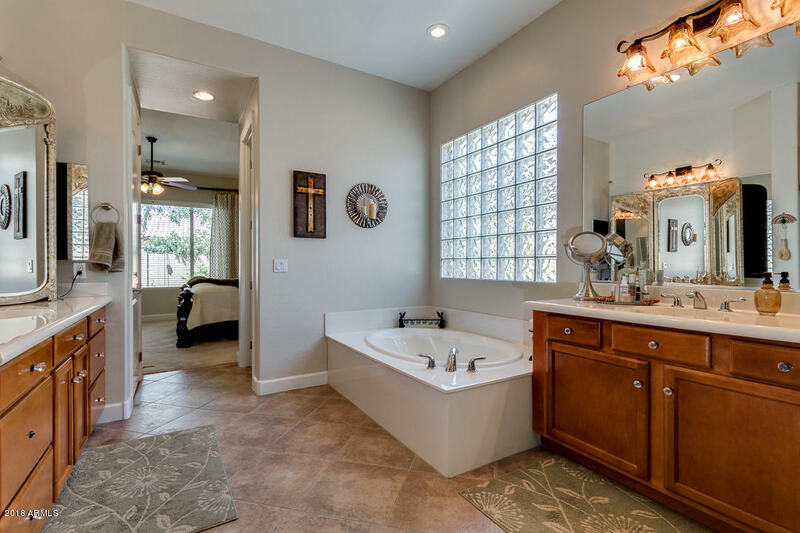 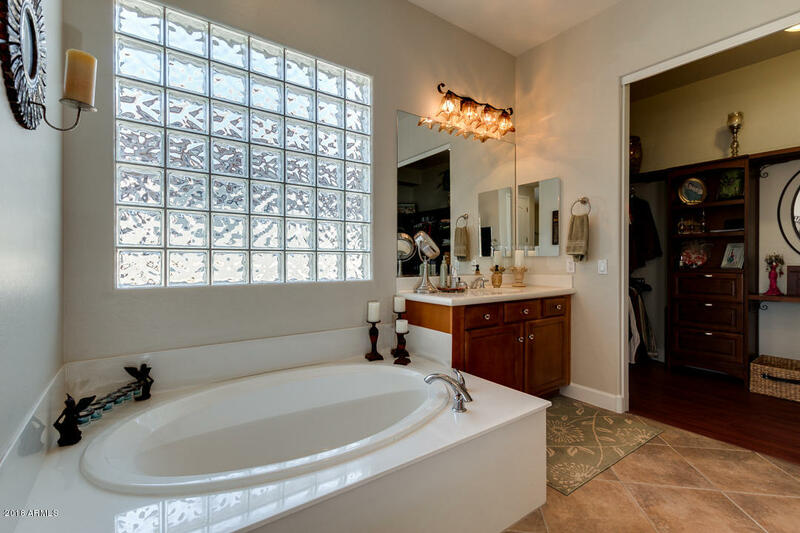 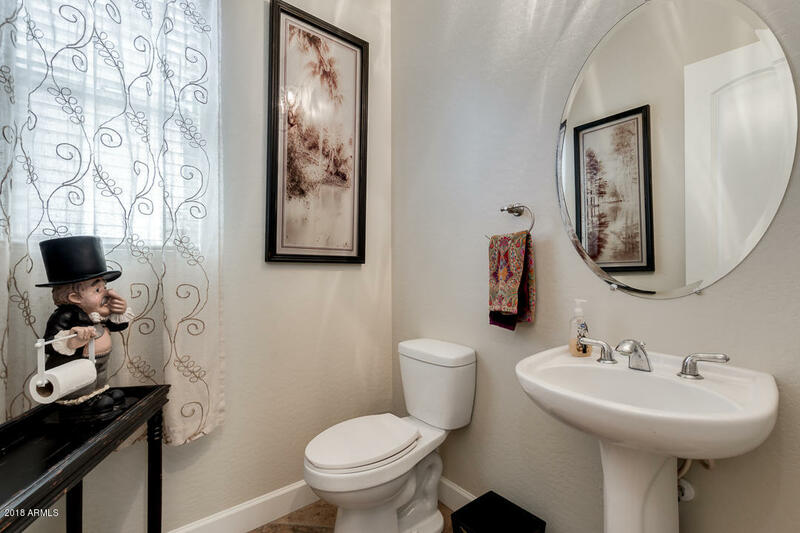 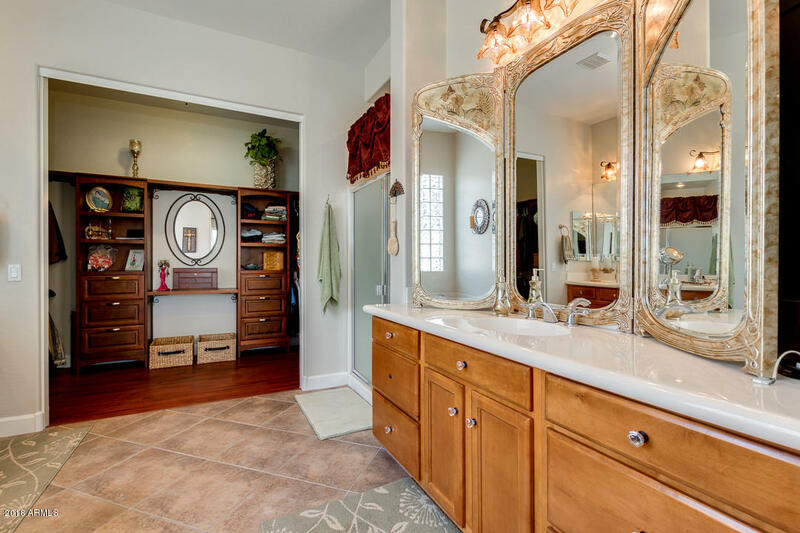 Master Bathroom with deep soaking tub, split dual sinks, and large master closet. 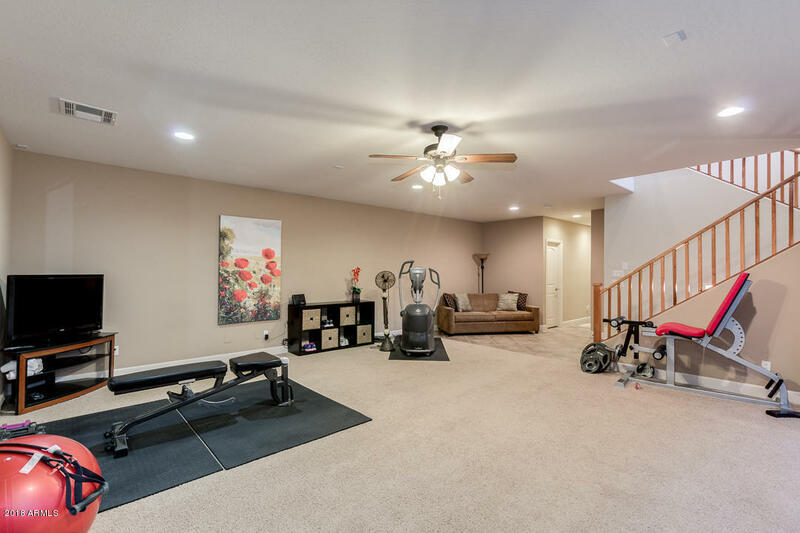 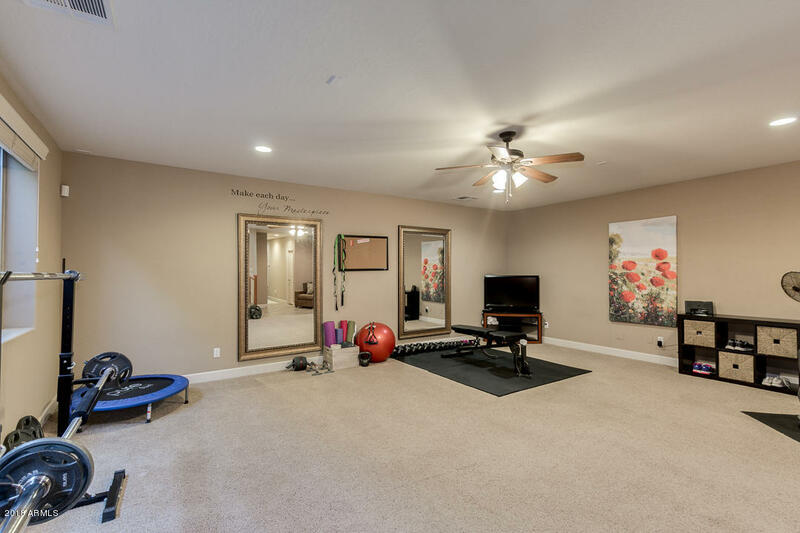 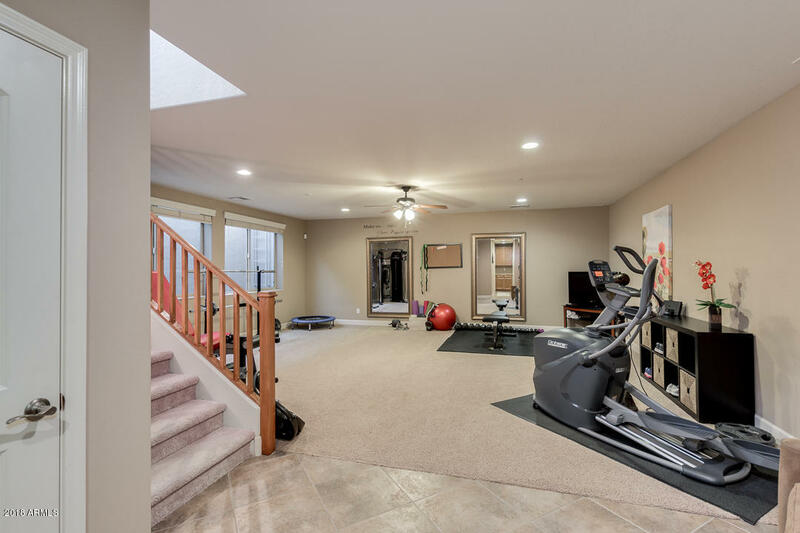 Huge Basement that can be used for home gym or media room. 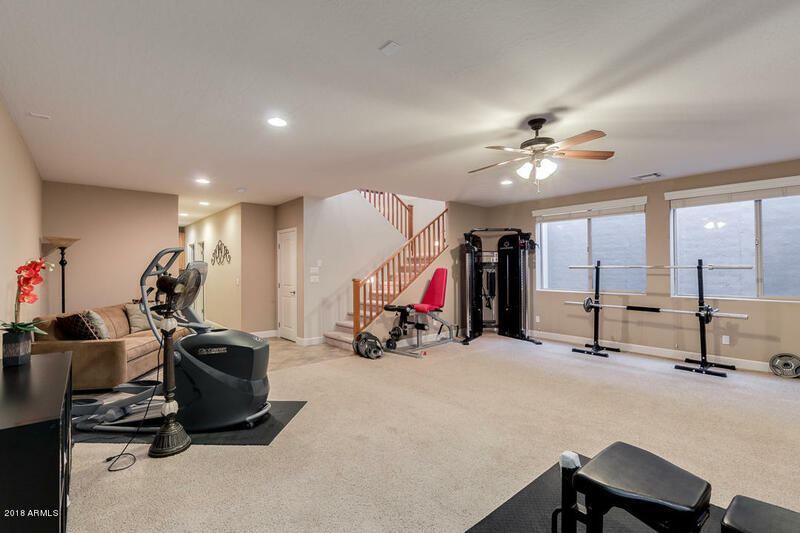 Basement with two roomy bedrooms & full bath. 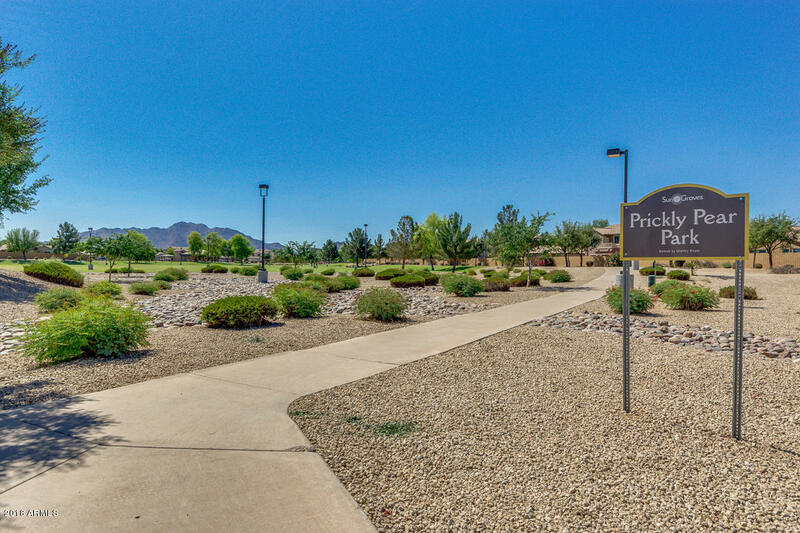 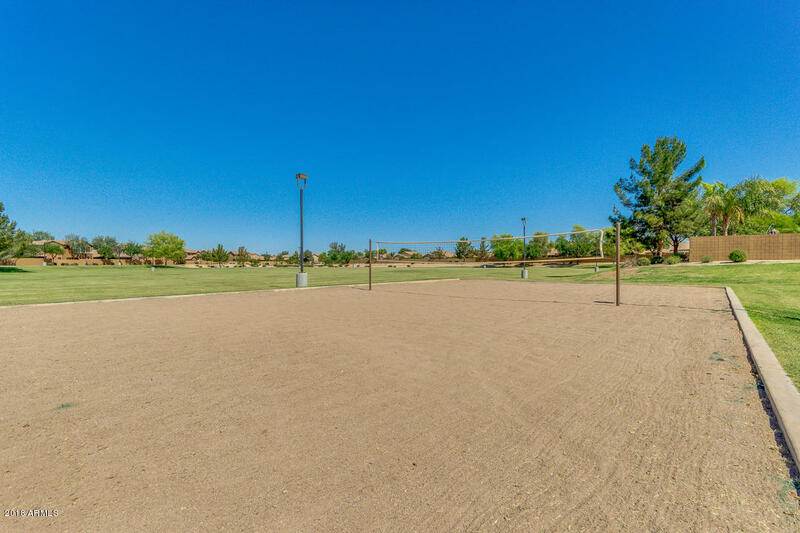 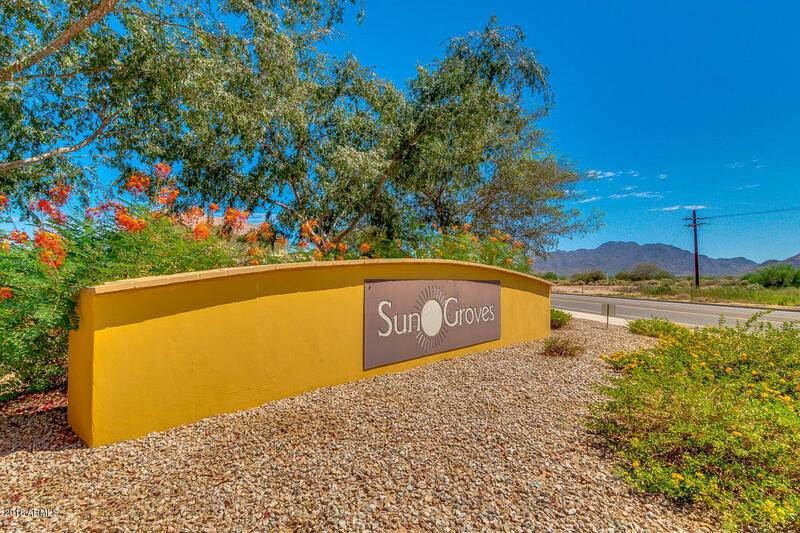 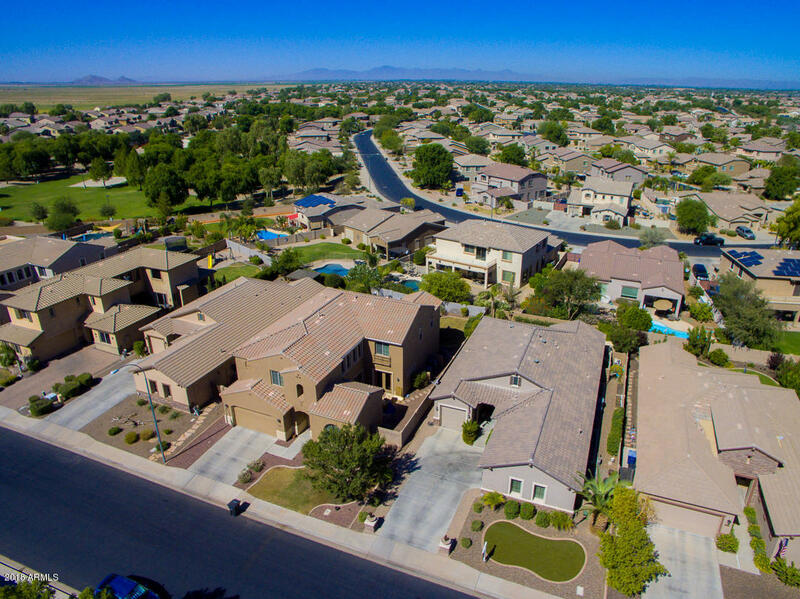 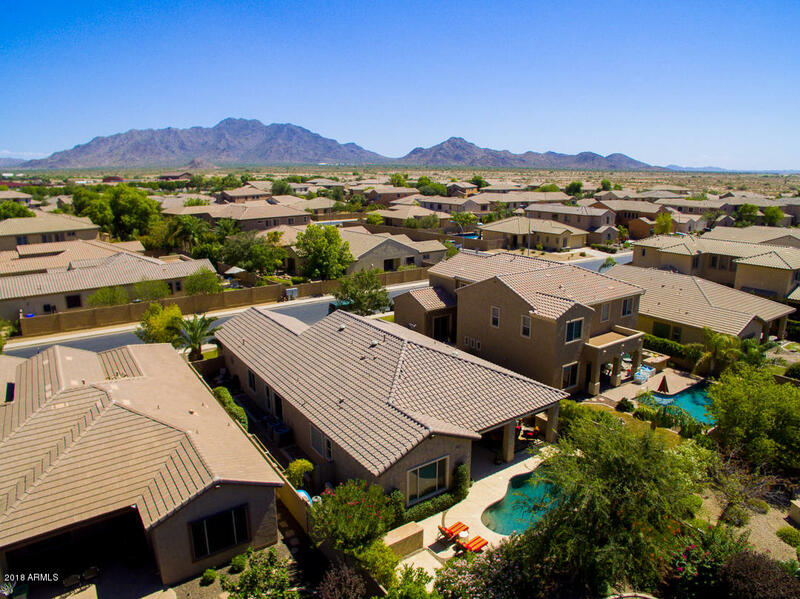 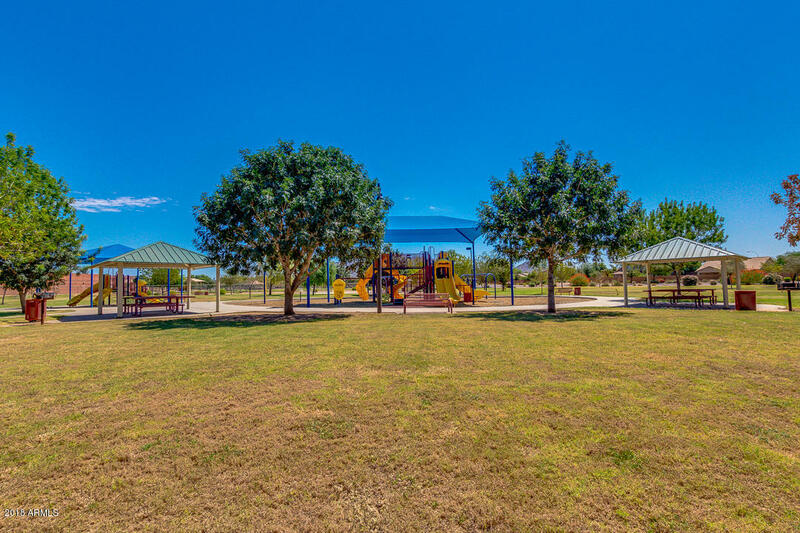 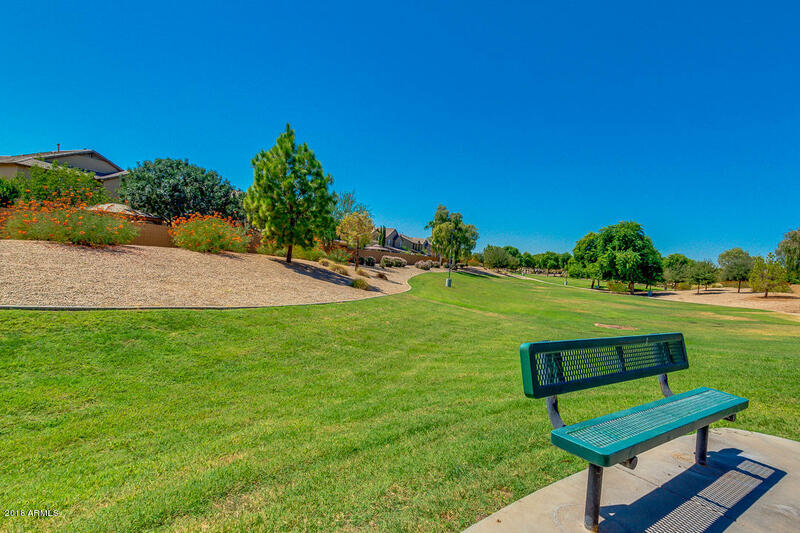 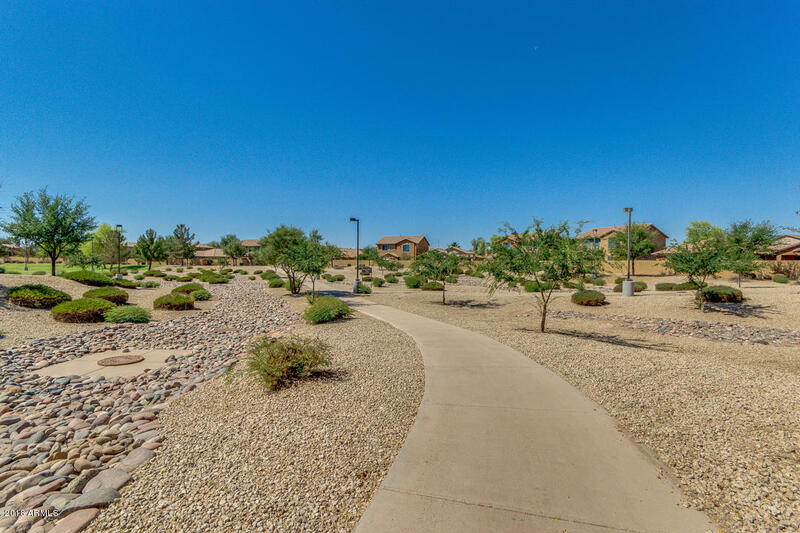 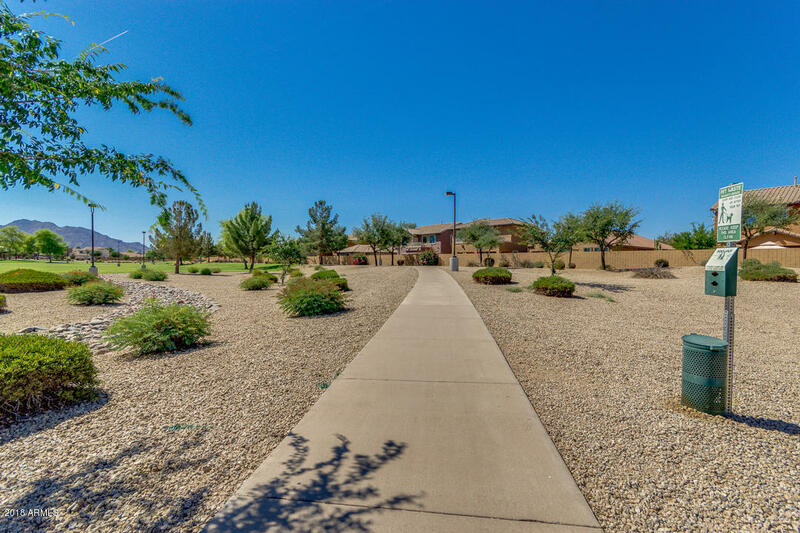 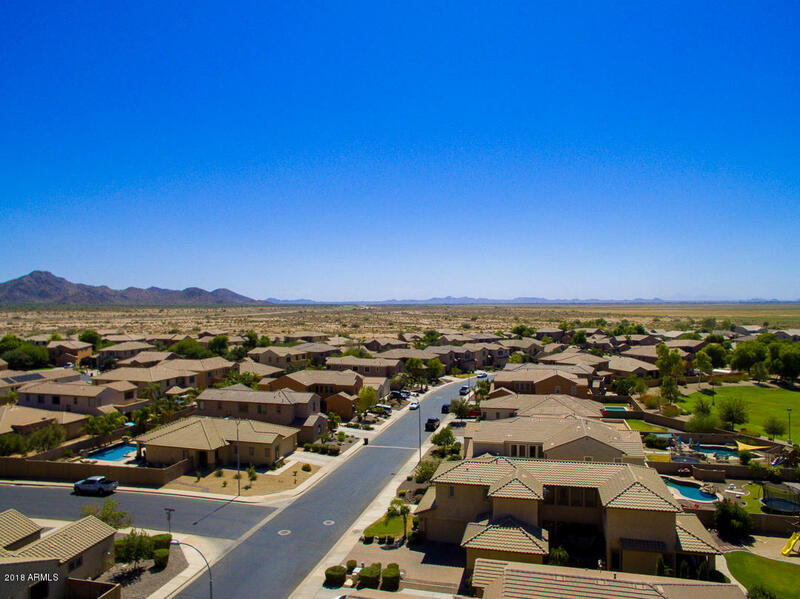 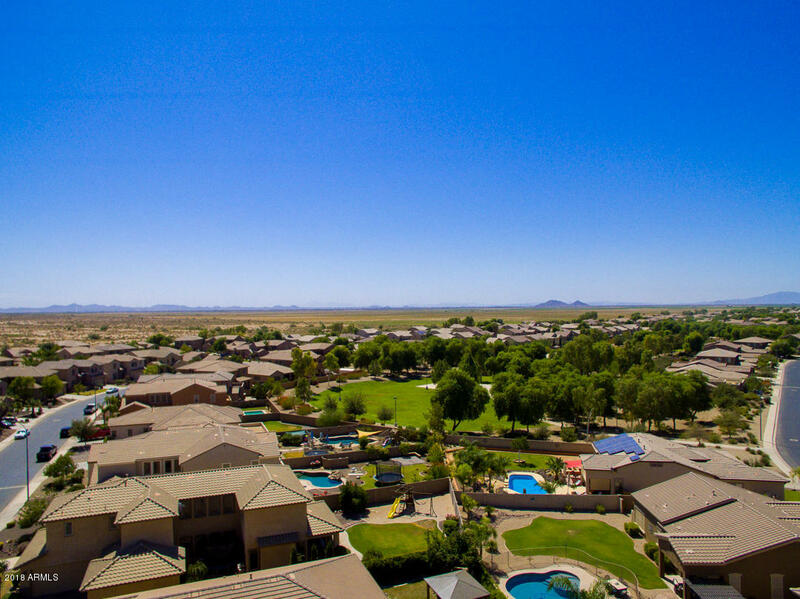 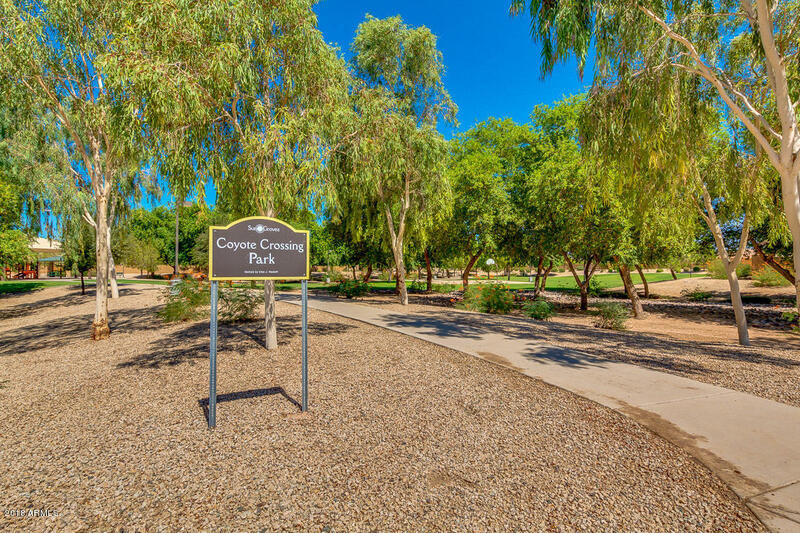 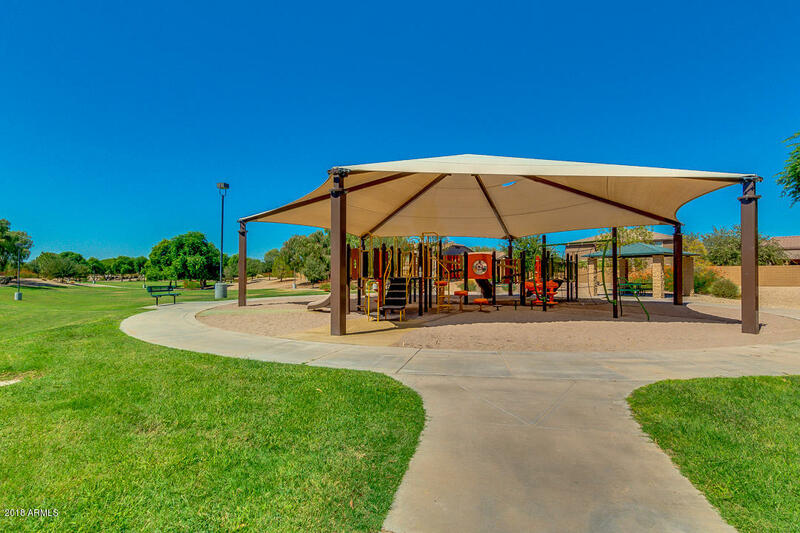 Walking distance to Chandler A+ elementary school, Navarrete.